I don’t know that much about Panaeng or Panang curry other than being named after Penang, Malaysia- why, I don’t know. It is milder than other Thai curries although it consists of quite a lot of other ingredients like chili peppers, galangal, lemongrass, coriander, cumin, shallots and peanuts. 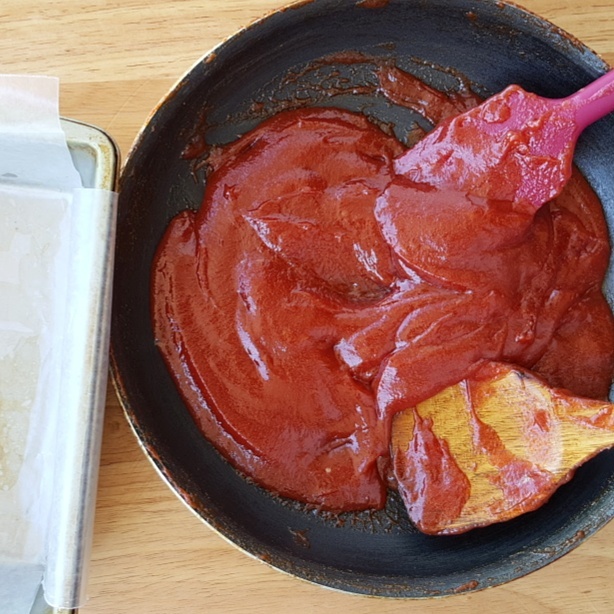 Thus unlike Indian curry, it comes in a paste form which is mixed with coconut cream, fish sauce, palm sugar and kaffir lime leaves to make that rich sauce to coat the meat and then some more for us who prefers saucy curry dishes. Talk about a real big party of flavors guaranteed to elevate beef to even greater heights. I love chicken but for this dish, I prefer beef. I know it's not a typical Thai method but I have this thing about browning my meat first before I go about building the sauce and putting the dish together. I have to see that seared crust on the meat so I kind of deviated a little and after I seared every piece of meat, it's Thai the rest of the way. 1. In a saucepan, set over medium-high heat, heat up the coconut “head” (the thick part that rises to the top of the can) along with the curry paste, stirring constantly. 2. When the mixture starts bubbling up around the edges and the coconut cream starts to separate, stop stirring and let it boil gently. 3. Turn the heat up a little and add the beef. 4. Stir to make sure the beef is all coated with the curry sauce. 5. Add half of the coconut “tail” (the remaining thin, watery part) and just enough water to cover the beef. 6. Add about the fish sauce and chopped palm sugar to the pot and bring the whole thing to a boil. 7. Immediately turn the heat down and let the curry simmer gently, covered, for 45-60 minutes. Check on it occasionally to make sure there’s no scorching on the bottom of the pot and that the beef is fully submerged in liquid (you may need to replenish the liquid with more water, Bring the pot back to a boil and turn down the heat again to resume a gentle simmer). 8. After 45 minutes, check to see if the beef is tender enough. If not, simmer a bit more. AIso, give it a stir, remove the lid, and let the braising liquid reduce down to desired consistency. 9. 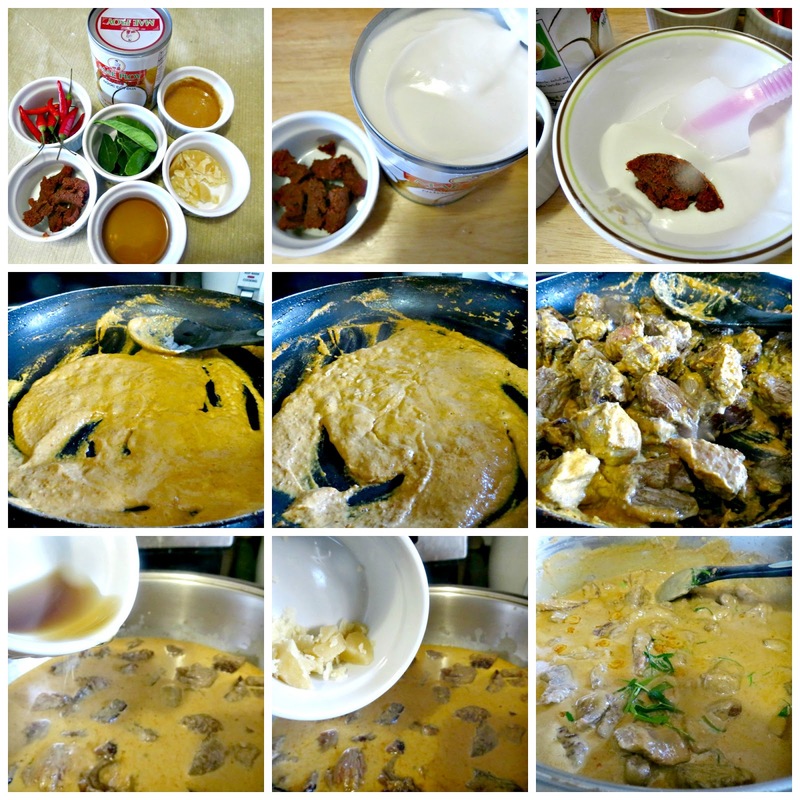 Once that is achieved, stir in the peanut butter, half of the julienned kaffir lime leaves, and the red peppers. Correct the seasoning with more fish sauce and palm sugar as necessary; take the pot off the heat. 10. Serve the curry, sprinkled with the remaining kaffir lime leafstrips, with steamed jasmine rice. Some like to top their plated panaeng with a dollop of coconut cream; I personally think the curry is rich enough as it is. Note: If you want to follow my path and sear the meat first, heat enough oil just to coat the pan over medium high heat and brown each piece on both sides, just to achieve that brown color. Do it in batches so as not to crowd the meat. 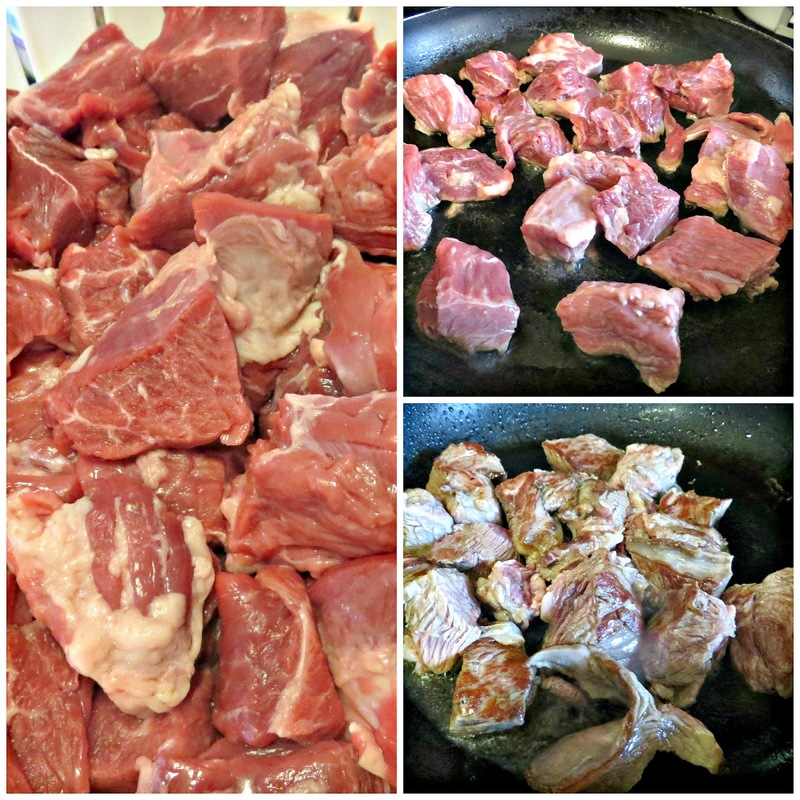 Transfer the meat to a bowl and set aside. Then you can proceed to step 1. I did not rinse the pan and just used it to heat up the coconut head.